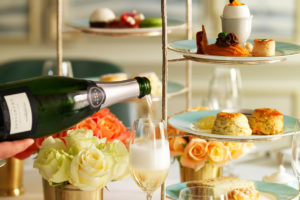 Add some sparkle to your day and indulge in an unforgettable Champagne Afternoon Tea experience for two at Orestone Manor. 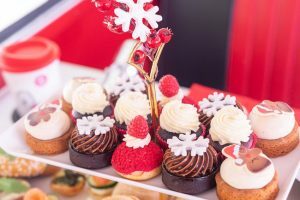 This wonderful afternoon tea treat is the perfect way to celebrate traditional British culture in style. Orestone Manor is a magnificent Georgian manor house set in the picturesque South Devon coastal village of Maidencombe, with spectacular sea views over Lyme Bay and beyond. Awarded two AA rosettes, Orestone Manor has a warm and inviting ambience and is the perfect setting for sipping champagne and indulging in an afternoon tea of sweet and savoury delights. 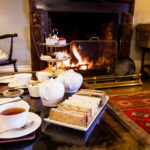 The fabulous cream teas are served in the hotel’s cosy and aptly named Brunel Lounge with its perfect sofa snuggle-spots, as well as the hotel’s stunning Italian fireplace dating from the 16th Century. In finer weather afternoon tea is served outdoors on the delightful sun terrace surrounded by palm trees and lush gardens. On a sunny day, this is one of the finest spots of the English Riviera. Orestone Manor’s aim is to serve you as you would wish to be served. Relaxation and enjoyment are the order of the day. 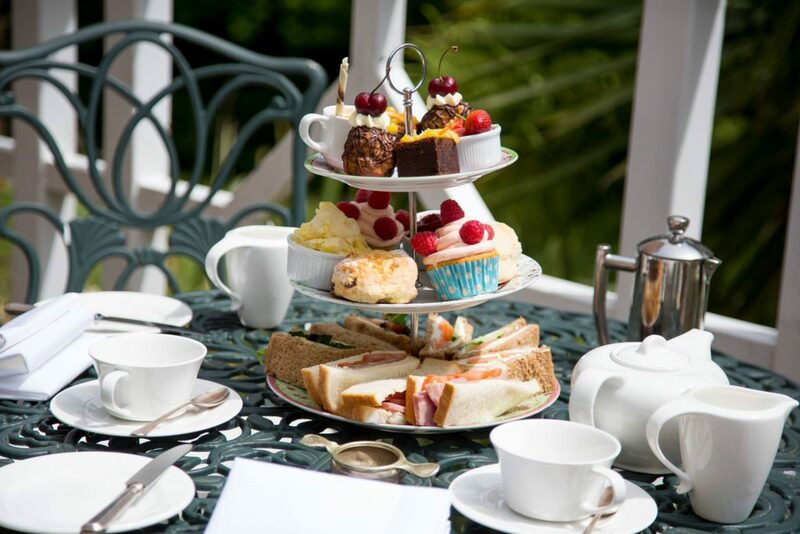 The Orestone Full Afternoon Tea includes a selection of finger sandwiches, homemade scones and Orestone preserve with Devon clotted cream and assorted homemade cakes with tea or coffee. Orestone Manor’s sumptuous accommodation match the food in excellence. 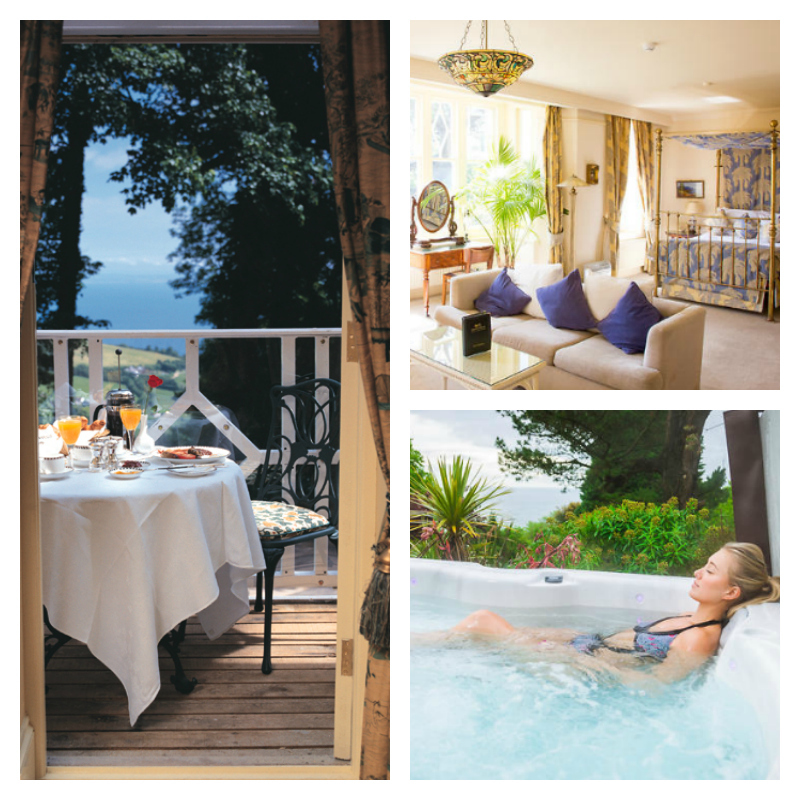 Relax in a simmering private hot-tub – a delight for autumn evenings while sipping bubbly and resting-up. Make time for a refreshing walk seal-spotting on the beach nearby, or stretching your legs on the coast path that sits right on the doorstep. Meanwhile the swanky Brunel Bar & Lounge is an excellent place to enjoy a tipple. Top Tip: try the champagne cocktail of the week and as you do, cast your eye over the new Bar & Lounge addition to see if the custom features modelled on Brunel’s famous Royal Albert Bridge, an impeccable landmark bridging Devon and Cornwall measure up to the engineer’s exacting standards. 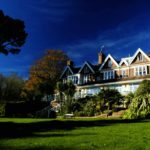 This charming country house hotel has won awards and accolades from Condé Nast Johansens, double AA Rosettes for fine dining, plus double gold-wins in the renowned Taste of the West hotel and restaurant awards. 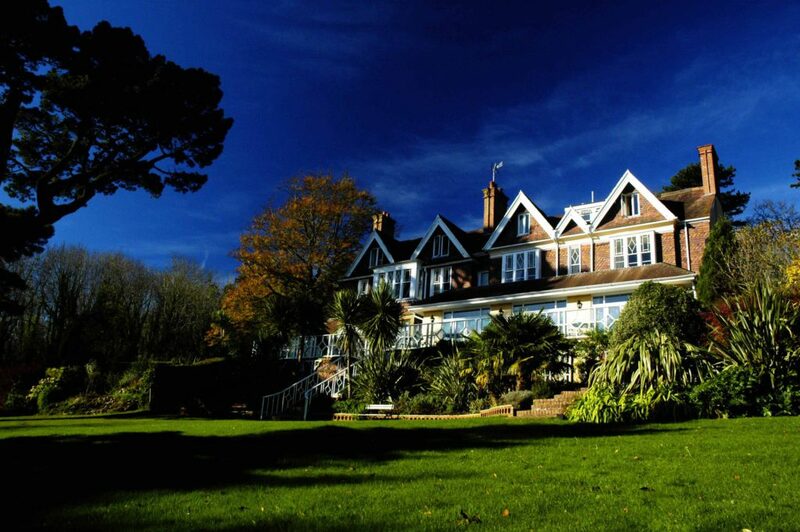 The venue is also a constant winner of TripAdvisor’s Certificate of Excellence and has been handpicked to feature in “Relish South West” – a guide to 20 of the best fine-dining venues across the South West with recipes revealing how to make the signature dishes at home. 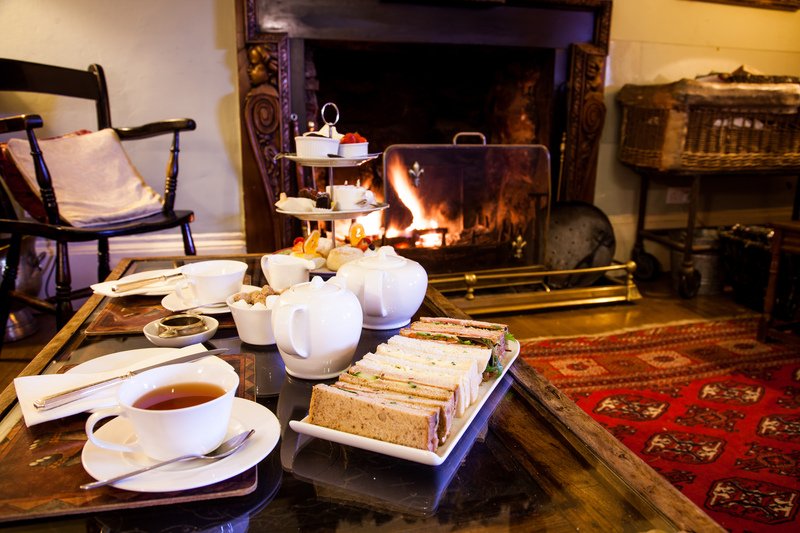 A sparkling Champagne Afternoon Tea at Orestone Manor is a steal at £17.95. 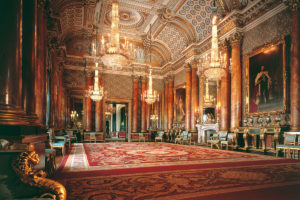 Why not gather up your girlfriends and treat yourself to a delicious day out. 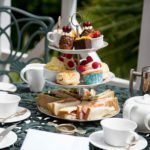 Explore Afternoon Tea in Devon . . .